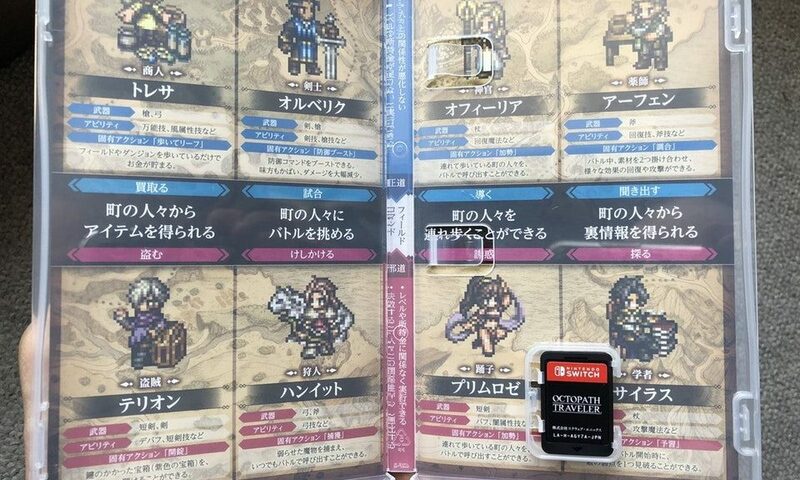 Nintendo and Square Enix have given Octopath Traveler different inner cover artwork in Japan. 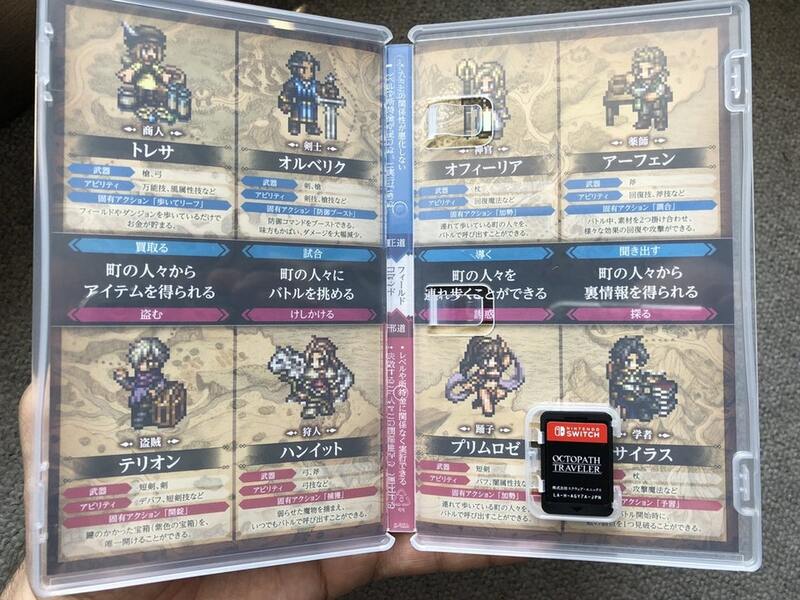 The Japanese version features the pixel artwork of all 8 major characters from the game as well as some basic information on each character written in Japanese. This is different from the North American version, which didn’t include any text. Which version do you prefer? Let us know in the comments below.